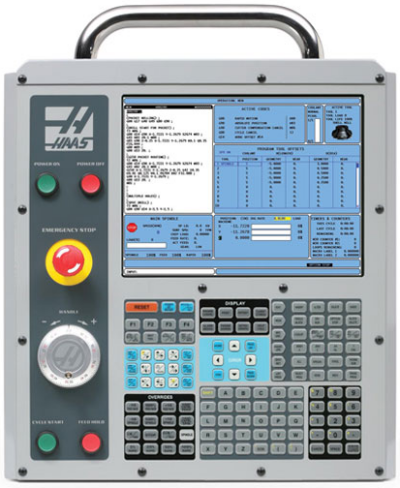 If you operate Haas lathes or other machines, then you will find this article useful. Fully understanding a CNC machine’s g-codes will get you the best results and outcomes when machining. The blog post below gives you some background on Haas’ g-code and then a guide to their newest additions. Give it a read! Haas makes some of the most popular CNC machines in the world, so knowing how to use their unique g-codes can be an important skill. The good news is that Haas has taken one of the smartest approaches I can think of in creating their unique g-code dialect. They started with the worlds most popular dialect, Fanuc (what the bulk of this course is concerned with) and built on top of it while maintaining compatibility. They didnt make any arbitrary changes and they largely added good value and convenience. This is a smart strategy because it means most Fanuc g-code will just run on a Haas, yet they still have some great advantages to talk about due to the special codes theyve added. It also means that the vast cadre of folks who know Fanuc g-code programming are ready to be productive day one on Haas machines, and they can pick up the things Haas added as they need to. I think thats smart, and I even said its something all future CNC controls should strive for going forward.